The Met Cloisters presents a collection of nearly 50 minuscule boxwood carvings that depict scenes from the Bible in the most mind-boggling intricate ways. 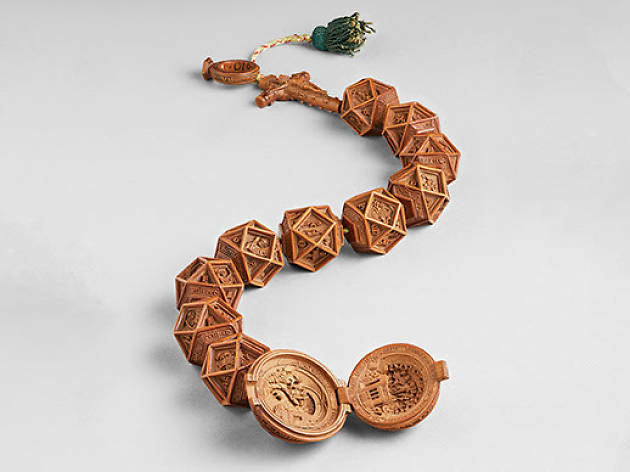 Measuring no more than two inches in diameter, these pieces of art created in the Netherlands in the 16th century present the talent of master carvers of that era. Among the wooden treasures: a carved boxwood rosary made for King Henry VIII of England and his first wife, Katherine of Aragon and a small sculpture in the shape of the letter P that opens up to reveal scenes of the legend of Saint Philip. And for those wondering how on Earth could these tiny carvings be possibly made by human hands, videos of conservators’ findings will be displayed in the exhibition as well as a disassembled prayer bead that gives viewers a closer look into the tiniest of handcrafts. All ages.